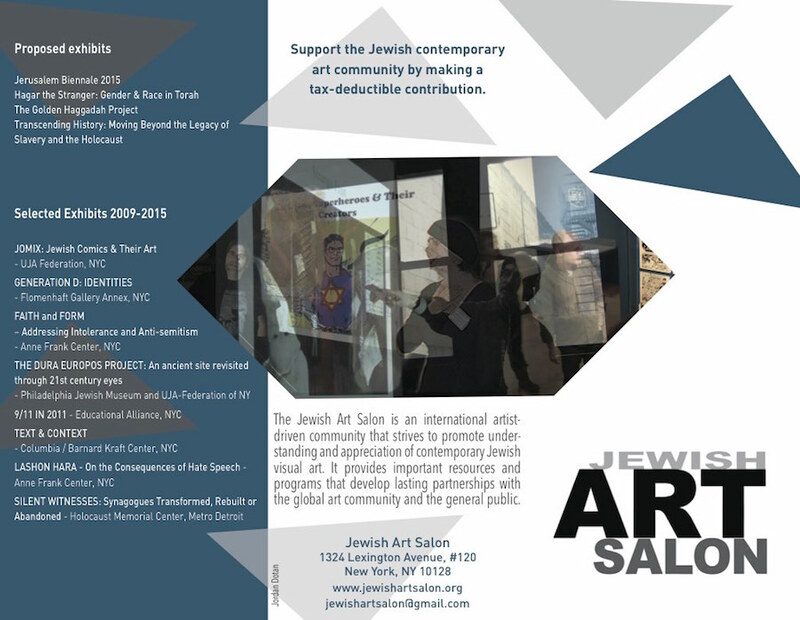 We are grateful to volunteer Dorit Jordan Dotan who designed the Jewish Art Salon brochure featured below. Her excellent skills in art and design can be seen online here. 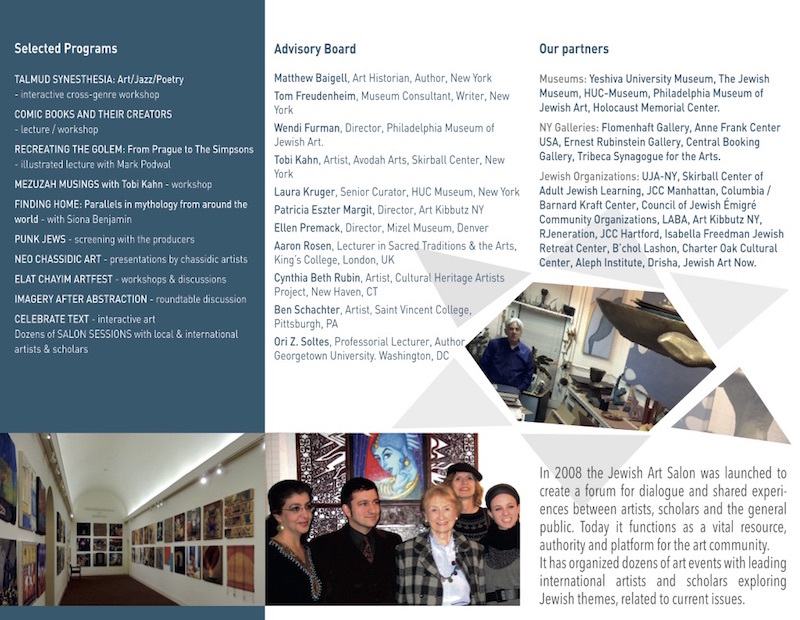 Dorit, who is based in Israel, has exhibited her fine artwork in several Jewish Art Salon exhibits in New York: Faith & Form at the Anne Frank Center USA, and JOMIX – Jewish Comics at the UJA Federation Gallery. We have also been successful in placing her art in the online gallery of two issues of the Shma Journal. View her fine art portfolio here. Wow…. thank you so much for posting this to the JAS community. Thank you for all the exhibitions with the JAS…. I’m feeling part of this amazing organization and it is fantastic!!!! Dorit, we love to put the spotlight on those who help us. Specially if they are as talented as you are! Dorit, we love to put the spotlight on those who help the Salon! It is a team effort. Thanks again!